Melanie B. (Calvin) Sutter, 63 years, of Fremont, Indiana, passed away Sunday evening in her home, surrounded by her family. Mel was born February 24, 1955 in Wauseon, Ohio, the daughter of the late Lloyd and Helen (Notestine) Gerig. She was a graduate of Hilltop High School and later went on to receive her undergraduate and master’s degrees in education from Defiance College. 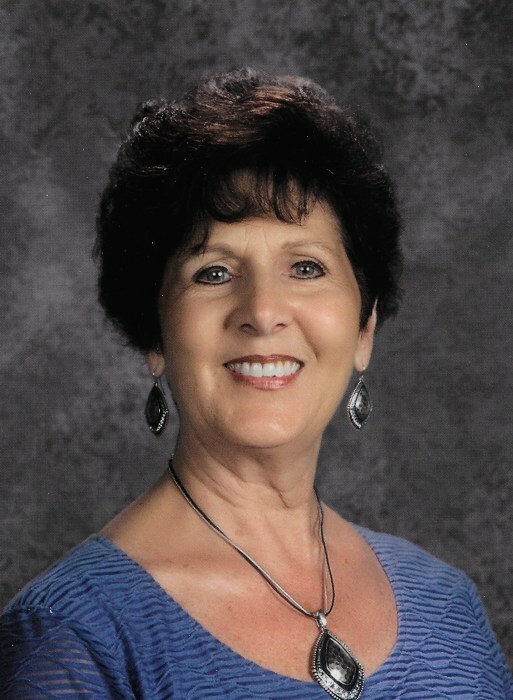 Mel made a legacy educating countless students as a teacher at Montpelier Exempted Village Schools for the past 29 years. She married Mike Sutter on June 27, 2015, at their lake home in Fremont, Indiana, and he survives. They are members of St. Anthony of Padua Catholic Church, Angola, Indiana. Mel’s life was dedicated to her family and friends. She loved hosting parties and celebrating life events at her home on Little Long Lake. With her husband, they enjoyed flowers, traveling and stopping by wineries of interest along the way. Surviving is her husband, Mike of Fremont, Indiana; one daughter, Abby Calvin of Bryan; one son, Cory Calvin of Bryan; two stepsons, Steve Sutter of Three Rivers, MI., and Matt (Laura) Sutter of Sturgis, MI; one stepdaughter, Emily Baer of White Pigeon, MI. ; eight grandchildren, Taylor, Julia, Sarah, Ashley, Erica, Addison, Breanna and Brandon; one brother, Tom (Jean) Gerig of West Unity; one sister, Cathie (Maurice) Batt of Montpelier. She was preceded in death by her parents. Visitation for Melanie B. Sutter will be held Thursday, February 7, 2019, from 2:00 – 8:00 p.m. in the Oberlin-Turnbull Funeral Home, 202 North Liberty Street, West Unity. A funeral service for Family and family friends will be held at 10:00 a.m. Friday, February 8, 2019, in the West Unity United Methodist Church, 311 North Liberty Street. West Unity. Interment will follow in West Franklin Cemetery. A Celebration of Life service for all those she touched, will be held at 7:00 p.m. Friday evening, February 8, 2019, in the Auditorium of the Montpelier Exempted Village Schools followed by a time of sharing. In lieu of flowers, the family has requested that those planning an expression of sympathy to consider memorial contributions be directed to a scholarship fund to be established in the name of Melanie B. Sutter, to help children become educators for many years into the future.